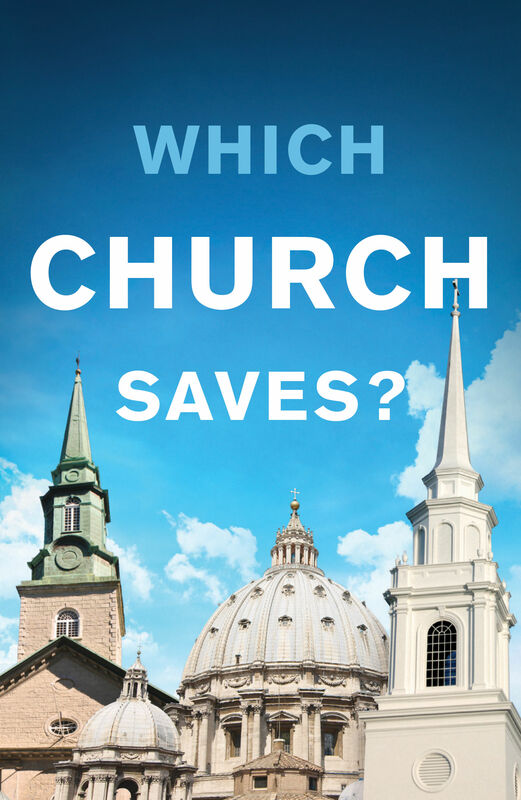 Tract - Which Church Saves? (Spanish) Tract - Which Church Saves? This tract explains that salvation is not found in a denomination or church, but only in a personal relationship with Jesus Christ. “Let’s read what the Bible teaches about Jesus: ‘There is none other name under heaven given among men, whereby we must be saved’ (Acts 4:12). And again: ‘Thou shalt call his name Jesus: for he shall save his people from their sins’ (Matthew 1:21). Jesus Himself said, “I am the way, the truth, and the life: no man cometh unto the Father, but by me’” (John 14:6). “‘Whosoever shall call upon the name of the Lord shall be saved,’ for ‘as many as received him [Jesus], to them gave he power to become the sons of God’” (Romans 10:13, John 1:12). You can have assurance of salvation by having complete confidence in Jesus Christ to do what the Bible promises. The Bible says, “By grace are ye saved through faith; and that not of yourselves: it is the gift of God: not of works, lest any man should boast” (Ephesians 2:8-9). “These things have I written unto you that believe on the name of the Son of God; that ye may know that ye have eternal life” (1 John 5:13).